I have fallen in love with Brenda Jackson's Catalina Cove. I want to travel to Louisiana, book a room at Vashti's B&B, take a tour on Ray's boat, walk the beach, sample the fresh seafood, and get to know the intriguing people who populate this small southern town that Jackson's brought to life on the pages of this series. 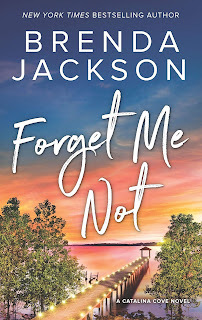 Though I would never want to experience it myself, I admit, I'm a pushover for an amnesia romance and Jackson has created one that pushed all my emotional buttons. My heart was with Ashley as, three years after her husband's death, she's still struggling to harness her grief and move on. Having her mother shove "new husband" candidates at her certainly isn't helping. Discovering her dead husband is very much alive but has no memory of his life before the accident creates a delicate line she must walk and I was with her every step of the way. Jackson kept my emotions bouncing as I was immersed into Ashley's thoughts, fears, and hopes during her gradual and realistically depicted journey as she begins to learn about this new version of the man she married. Ray's actions and reactions felt very real to me. I enjoyed his friendship with Sawyer and Kaegan. I understood his reluctance to get involved with a woman, not knowing what his life had been pre-amnesia. Jackson skillfully guides him through the ups and downs of his journey with Ashley with heart-tugging emotion and realistic reticence. As Devon is slowly revealed through flashbacks and through Ashley's thoughts, we begin to know the man he once was. At the same time, through his present-day interactions with Ashley, both she and the reader come to know Ray as he is now. My heart ached for what Ray has, and continues, to go through. I can't imagine how difficult it must be to know you had a life, friends, family, but remember nothing about it. Will Devon regain his memory and return to the wife he once loved? Will Ashley fall in love with Ray, who is very different from Devon, and move forward in a new relationship with the man to whom she's already married? Or will the resolution of this story be something else entirely? You're going to have to travel to Catalina Cove through the pages Forget Me Not to discover the answers. It's a journey I enthusiastically recommend. What setting (city, state, country) have you discovered in a romance novel that you'd love to visit in real life? 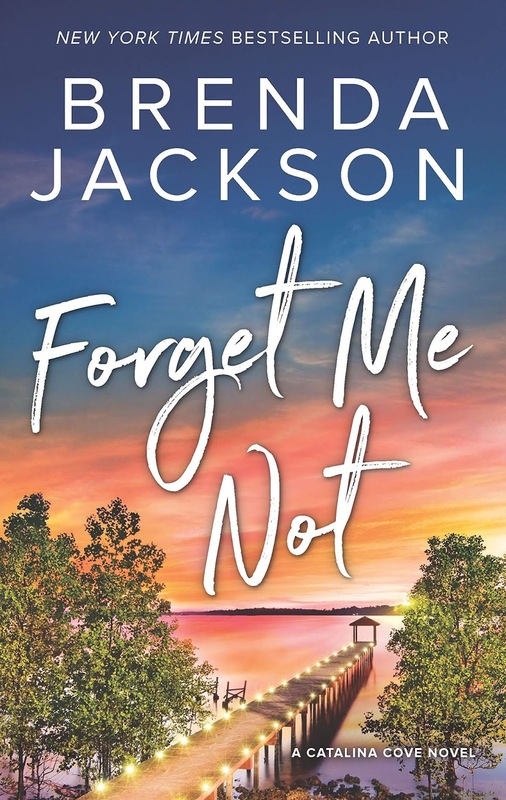 Forget Me Not is Brenda Jackson's 100th Harlequin novel. Have you read her books yet? Do you have a favorite? Sounds like a great read. I have not read Brenda. Would love to visit Virgin River if it really existed. LOL. The Chesapeake shores books by Sherryl Woods are captivating and the locale appeals to me greatly. Love beach settings. What a lovely premise for a plot. To have the chance to find the love of your life for a second time. Thanks for the review. I think the far northwest has been interesting to me, all from books which are situated there. Again, thanks for this introduction. I, too, am a total pushover for amnesia romance. This one sounds lovely. Enjoy KissCon! The book sounds amazing. I would still love to visit Virgin River that Robyn Carr created. I loved the last Janet Chapman's books and I'm dying to get to Maine someday, where a lot of those were set. My mom worked at a camp in Maine for years, so that's another reason to go. Sounds like a wonderful story. I've been dying to read Brenda's books. Thanks for the review. Enjoy KissCon!! I decided I just couldn't afford it but I'll be in the NY area when RWA is there, so maybe I'll see you then. This sounds like a heartbreaking but wonderful story. I think everyone at some time thinks about what it would be like to either lose someone to amnesia or to suffer it themselves. I have got to get to Scotland. Admittedly it will be a bit difficult to also go back in time several centuries, but I will be happy to settle for the current version of the country. I am trying to plan for a trip next year and hope it will really happen. I have read a few of Brenda Jackson's books. Off the top of my head, I can't tell you a favorite. FORGET ME NOT certainly sounds like it will be a contender.